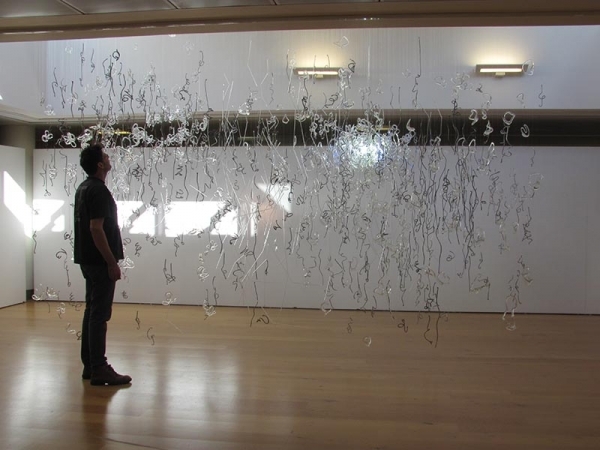 In 2015 Jon Lewis, a glass blower based at Parndon Mill, Harlow, Essex and I (Cuckoo Farm Studios, Colchester, Essex), were awarded one of two collaborative commissions by ENAS (Essex Network of Artist Studios). 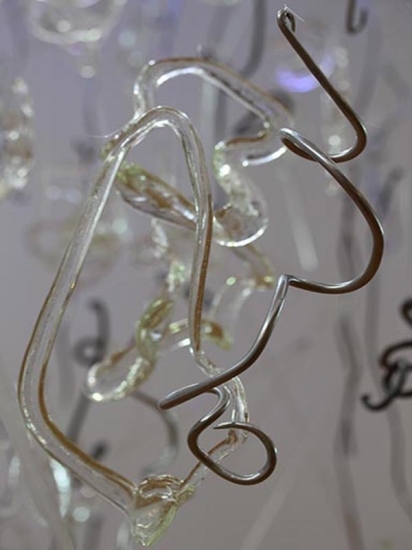 ENAS proposed that artists from different studios groups in Essex, working in different disciplines, explore ideas together to create a body of work. 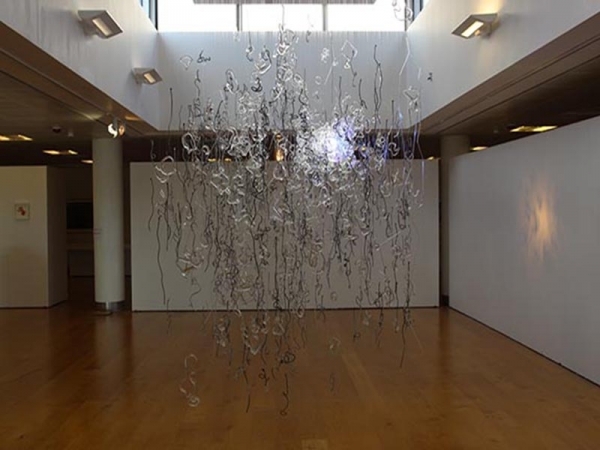 The final work was then exhibited at The Gibberd Gallery, Harlow. 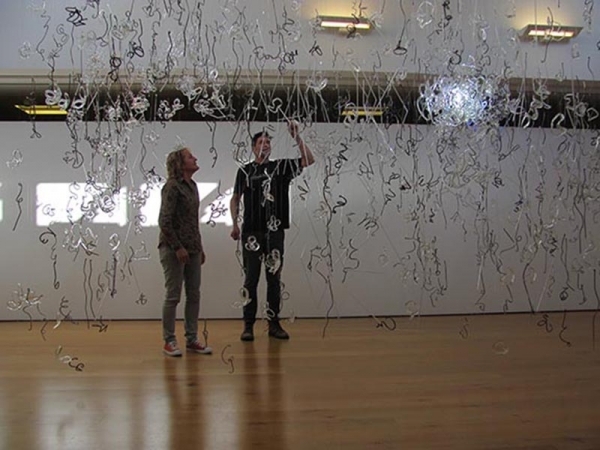 Jon and I took the opportunity to create a large, immersive installation. 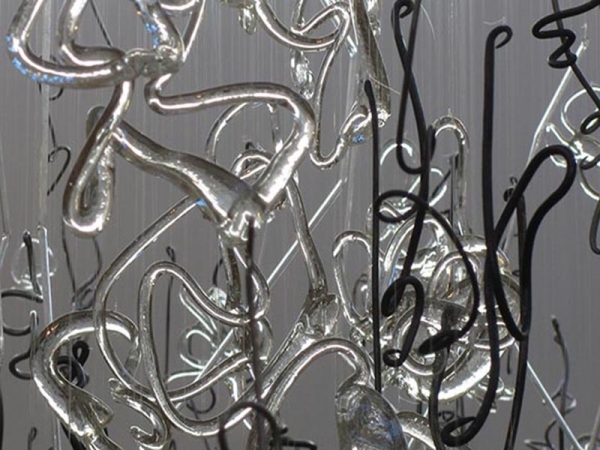 'Cloud' comprised over 1000 individual glass and forged steel shapes, suspended to resemble a cloud like form and lit from within.